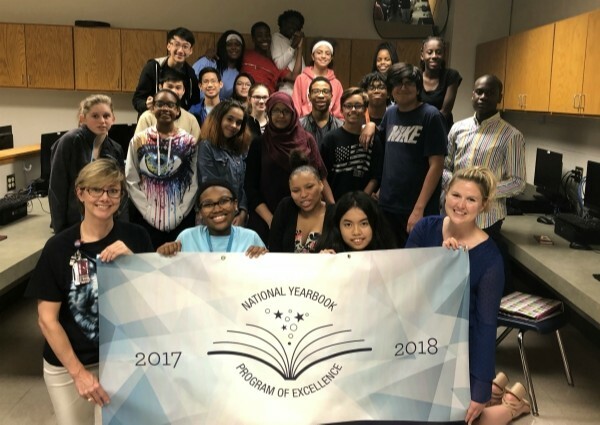 The Coble Middle School yearbook team, led by Elizabeth Hodges, has won the National Yearbook Program of Excellence. The award is given by Jostens, Inc. to recognize the schools that continually strive to create a great yearbook program for their students. "Ms. Hodges and her staff have worked extremely hard for this award and honestly completely transformed the yearbook program in two years," said Tiffany Weatherford, Jostens Sales Associate. To become a National Yearbook Program of Excellence, yearbooks are judged by their meaningfulness, quantities purchased and set deadlines. Congratulations to Ms. Hodges and all the yearbook students for building the Coble Yearbook program with excellence.